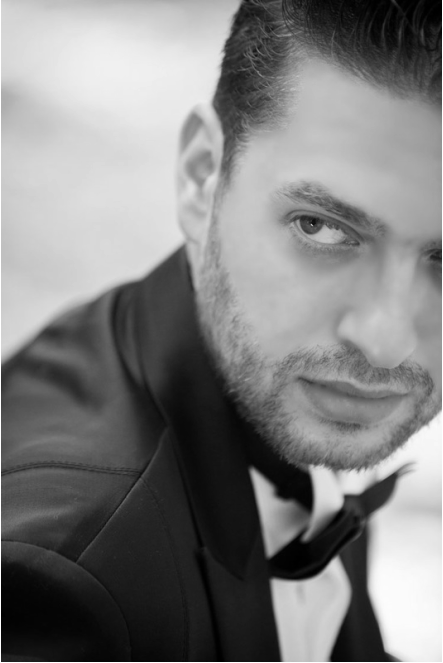 ​The Greek tenor Vassilis Kavayas was born in 1986 in Athens. He studied Composition at the Department of Music Studies of the Ionian University and Singing at the Municipal Conservatory of Kalamata with Christina Yannakopoulou. In 2011 he graduated his master studies in Opera with Barbara Bonney at the Mozarteum University in Salzburg (Alexander S. Onassis and State Scholarships’ Foundation Scholarships.) He continues to study with Aris Christofelis. In 2007 he received the First Prize at the National Yamaha’s Vocal Competition (YMFE). He has attended Opera and Lied masterclasses with Kostas Paskalis, Aris Christofellis, Kurt Equiluz, Marina Krilovic, Daphne Evangelatos, Angelika Kirchschlager, Raul Gimenez. In 2013 he joined the Accademia Rossiniana at the Rossini Opera Festival in Pesaro under the guidance of Alberto Zedda. Göteborg's Opera House, Konzerthaus in Berlin, Liederhalle in Stuttgart, Thalia Sala in Sibiu, Schloss Palace in Eisenstadt, Bozar in Brussels, Philharmonie in Krakow, Old Library of Columbia University in New York. His repertoire includes mostly leading rossinian and mozartian roles such as Conte d’Almaviva (Il Barbiere di Siviglia), Don Ramiro (La Cenerentola), Lindoro (L'Italiana in Algeri), Conte di Libenskof (Il viaggio a Reims), Selimo (Adina), Bertrando (L'inganno felice), Ferrando (Cosi fan Tutte), Belmonte (Die Entführung aus dem Serail), Tamino (Die Zauberflöte) as well as Paolino ( Cimarosa’s Il matrimonio segreto) and Cosroe (Hasse’s Siroe) among others. In 2012 he joined two World Premieres performing and recording the roles of Porsenna in Gluck’s Il trionfo di Clelia and Silvio in Weigl’s Il Sacrifizio (I Virtuosi Ambulanti). He is a frequent concert soloist interpreting masterpieces by Mozart, Bach, Haydn, Rossini, Vivaldi, Jomelli, Hasse, Galuppi and Fasch among others. He has collaborated with great conductors such as Alberto Zedda, Antonino Fogliani, Carlo Rizzi, Diego Fasolis, Donato Renzetti among others. His discography includes Gluck’s Il trionfo di Clelia (DMG), Weigl’s Il Sacrifizio(Newplay) and Rossini’s Semiramide (Naxos).